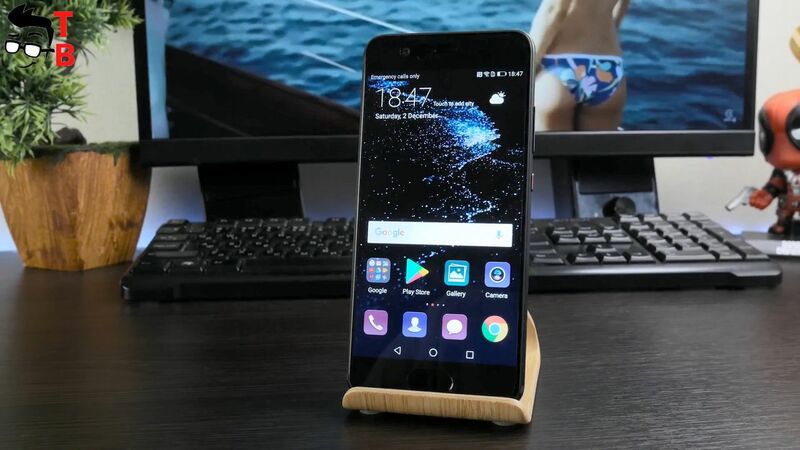 Huawei P10 REVIEW after 10 months: How Good Phone for Late 2017? 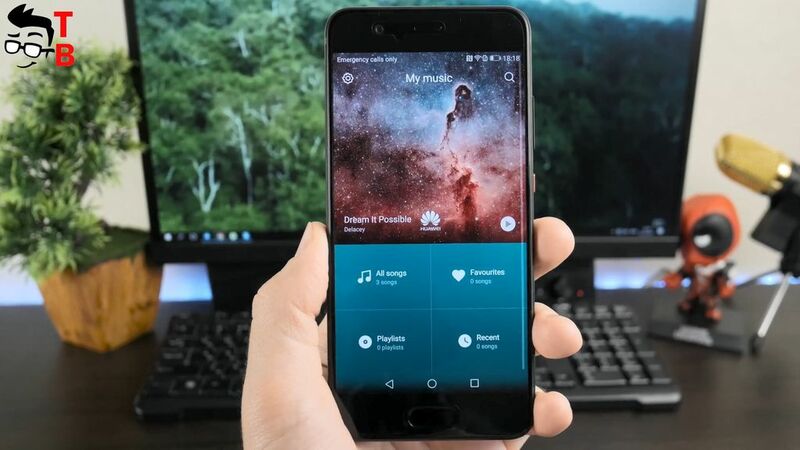 Home » Review » Huawei P10 Full Review, Unboxing and Test: How Good Is It in 2018? 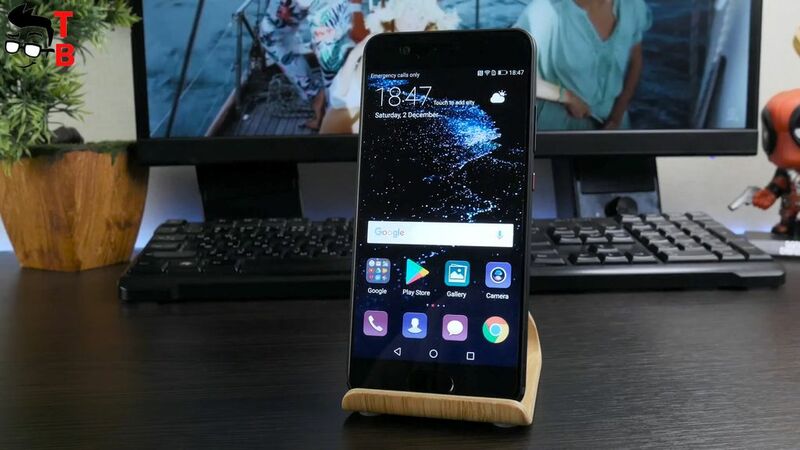 Huawei began 2017 with the release of flagship smartphone Huawei P10. 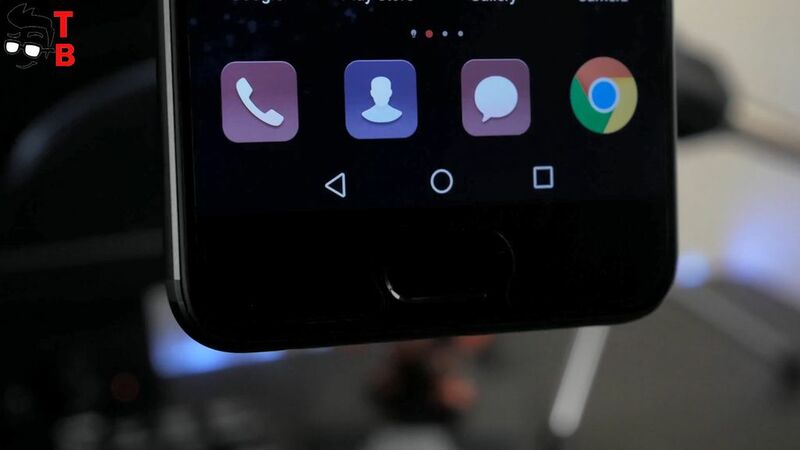 The smartphone is the next generation of last year’s Huawei P9, which received many positive reviews from users and many tech bloggers. The new smartphone received a dual camera Leica, an updated design, the latest version of Android Nougat and many other improvements. 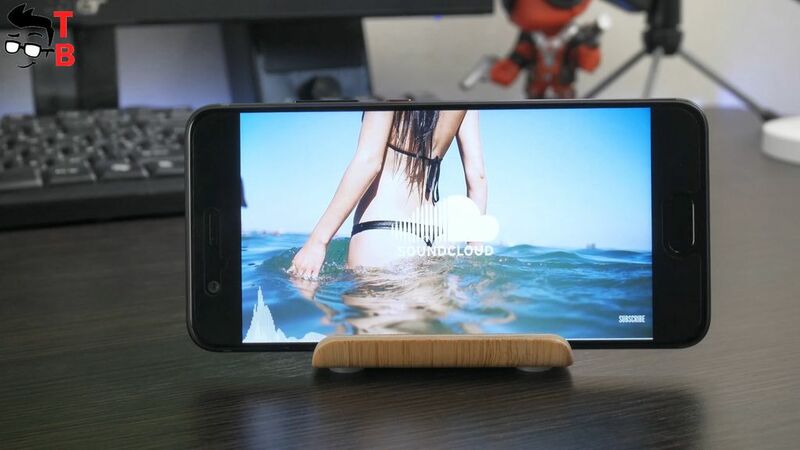 I’ve already reviewed Huawei P10 Plus, and now I want to tell you about Huawei P10. Unlike plus version, the standard model comes with a more compact 5.1 inch display. Later I will make a detailed comparison of both smartphones, but for now let’s review Huawei P10. The price of smartphone is about $450. 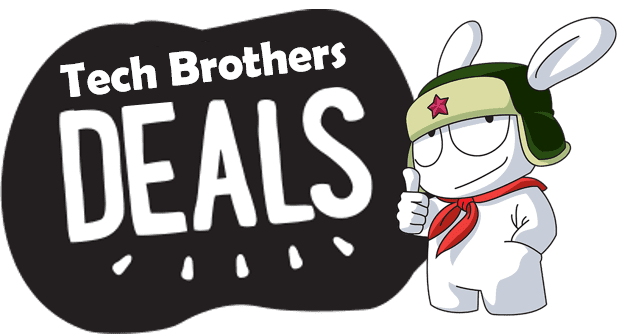 In description under the video you can find a link where to buy cheaper, as well as other useful information about the smartphone. 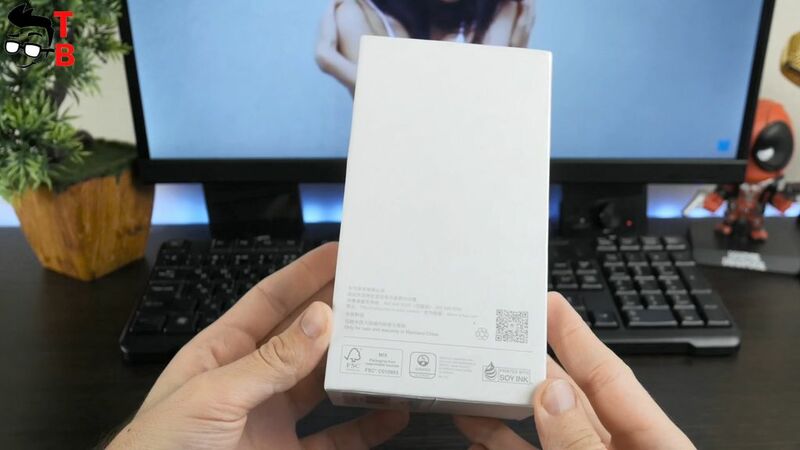 The smartphone comes in very interesting white box. 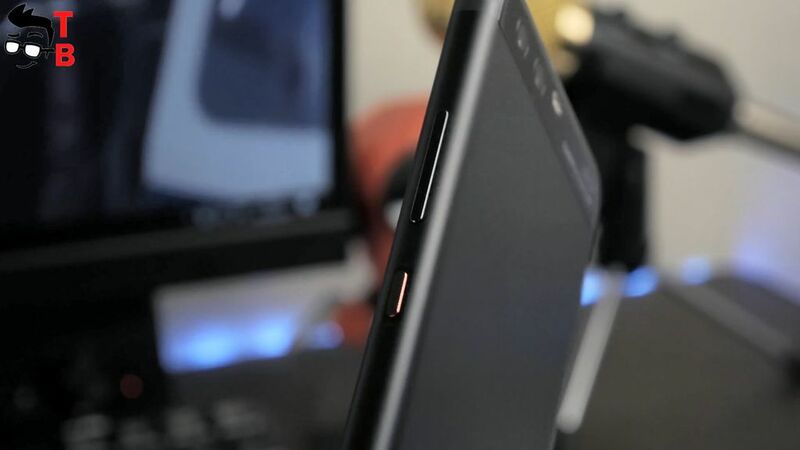 Unlike many other phones, the front panel opens in different directions, like doors. Also you can see model number and factory sticker on the front panel. 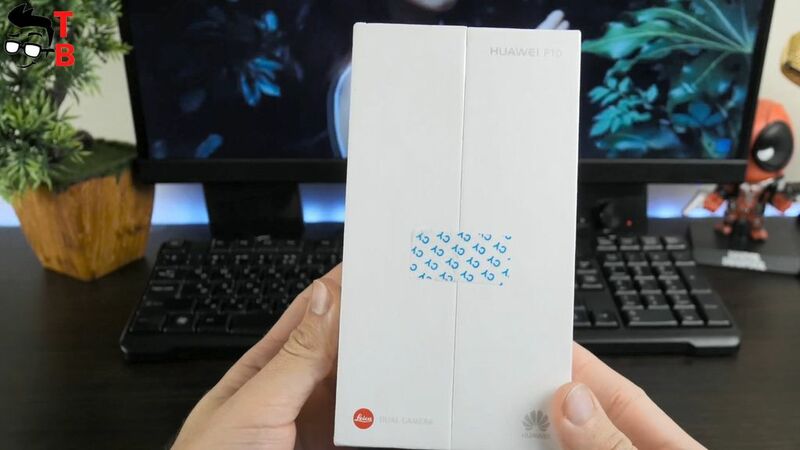 The back side provides some information about Huawei P10. If you forget about memory, chipset, camera or other specs of smartphone, you can find them on the back panel. So, let’s open the box and see what is inside. Here we can see the smartphone in factory film. It has really compact size, compared to 5.5 inch devices that I reviewed for the last time. Under the phone there is user manual, USB cable, power adapter, earphones, back case and sim needle. 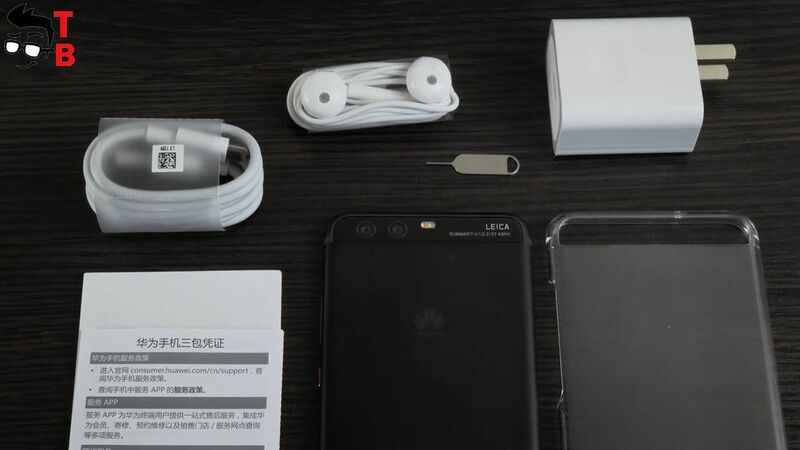 The package content is the same as Huawei P10 Plus, so there is nothing surprising. 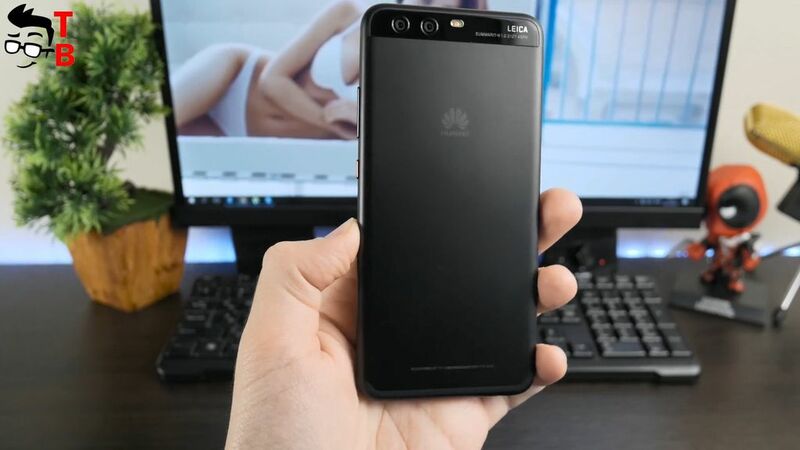 Huawei P10 looks very similar to last year’s P9. Also, the Chinese manufacturer borrowed some elements from iPhone 6 and iPhone 7. All of them have rounded shape and stylish metal bodies. 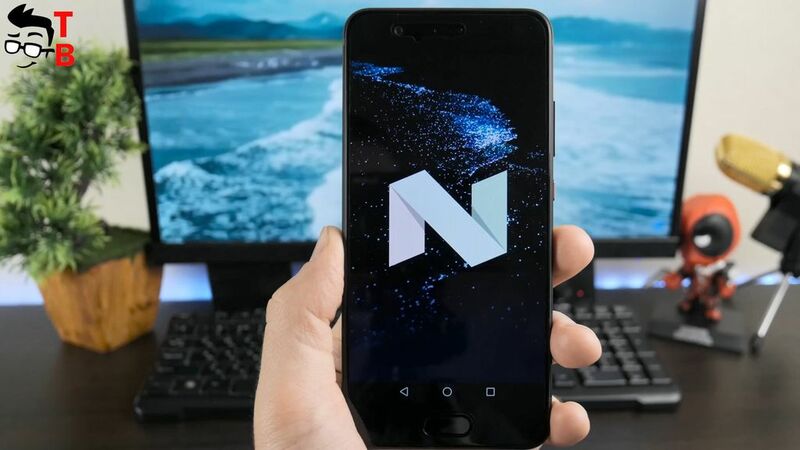 However, all modern flagship smartphones look similar, do you agree with me? I have black version of smartphone, and it is discreet and elegant. Also you can choose Blue, Golden, Rose gold or white color options. The first feature of Huawei P10 is its compact display. It has a diagonal of 5.1 inches, so it is more comfortable to hold in hand than 5.5 inch devices. If you look at the front panel, here you can see the first difference between P9 and P10 smartphones. New device comes with front fingerprint reader under home button. As you remember, Huawei P10 had fingerprint reader on the back. I think it is really important change. 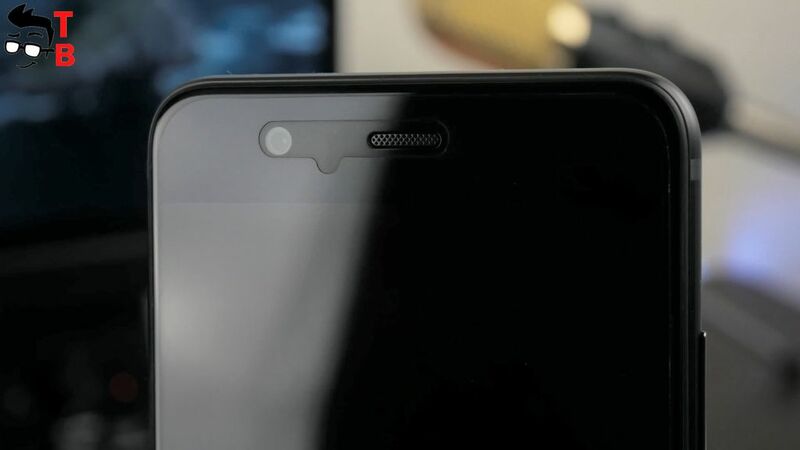 Also you can see front camera, earpiece, and other sensors above display. Huawei P10 is not full screen or bezel-less phone, so it has quite big top and bottom panels, just like OnePlus 5. The back panel looks very stylish. Most of it is made of matte metal, while at the top you can see the black panel with dual rear camera and LED flashlight. The company logo is located in the center, which used to be a fingerprint reader. 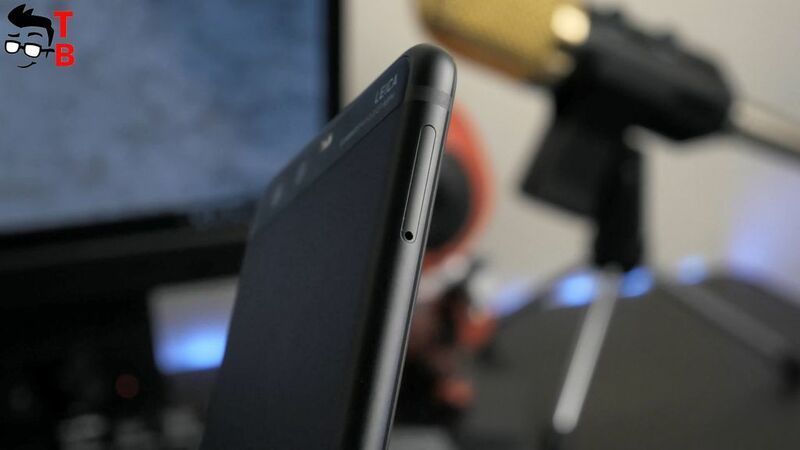 There’s nothing on top of the phone, but you can see 3.5mm audio jack and USB Type-C port on the bottom. The right side has power button and volume rocker, while on the left there is slot for SIM cards and microSD memory card. Huawei P10 looks the same as Huawei P10 Plus, but only in a more compact size. They are like twins, and if you prefer a more compact smartphone, then Huawei P10 will be a good option. 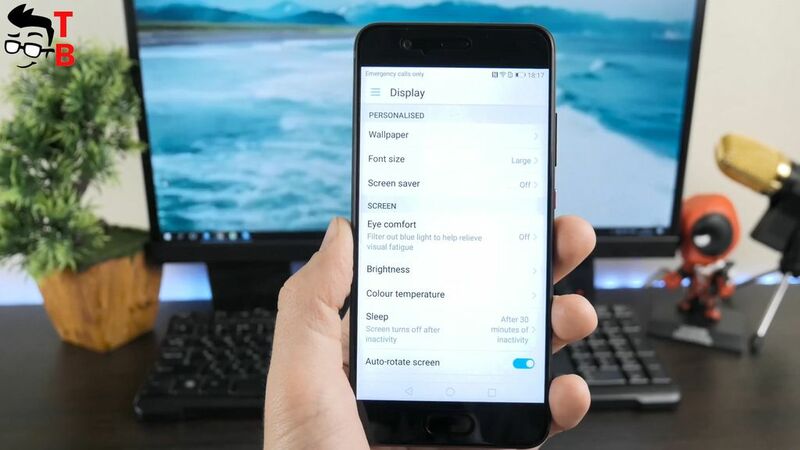 If you want bigger screen – your choice for P10 Plus. The smartphone is equipped with 5.1 inch Full HD IPS display. 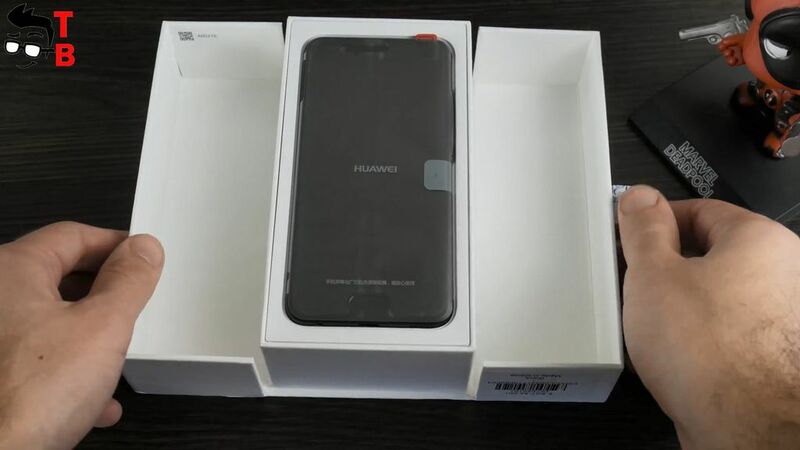 The right and left sides have thin bezels, while top and bottom are quite bit, but there is front camera and home button with fingerprint reader, respectively. The pixel density is perfect – 432ppi. The text and images look sharp and crisp. I don’t want to talk about strange figures brightness, color gamut and more. I just tell you that display has great viewing angles, high brightness levels, even outdoors, and vibrant colors. By the way, you can change the white balance and color temperature in settings menu. This is very useful for people, who prefer warmer or colder colors. 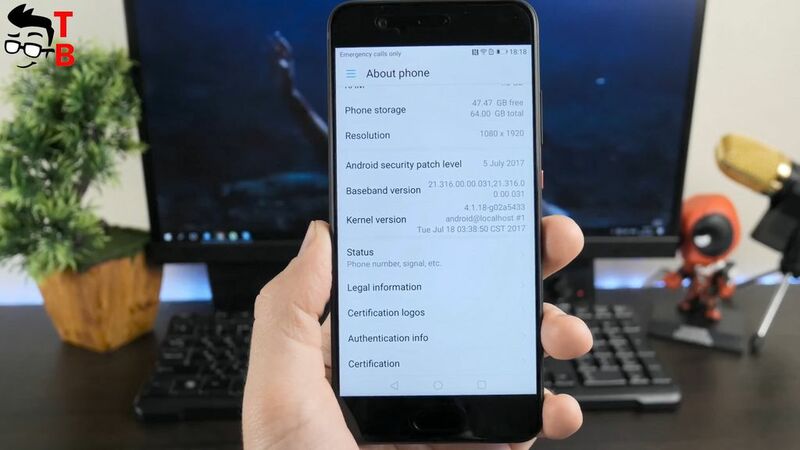 Huawei P10 Plus runs on latest Android 7.1 Nougat with EMUI 5.1 user interface on top. It is very customized version of Android. 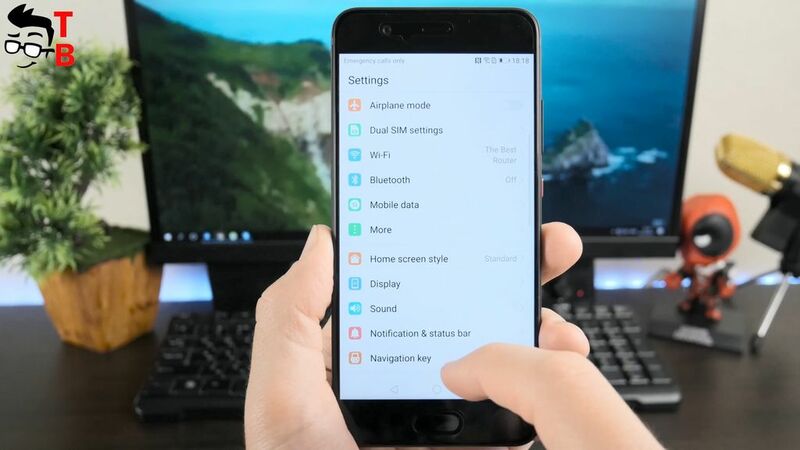 If you have never used Huawei smartphone, then its notification center will be very strange. Here you can find the most popular functions. The active functions are blue color. By default smartphone has black, white and blue color scheme, however you can choose hundreds of different themes. 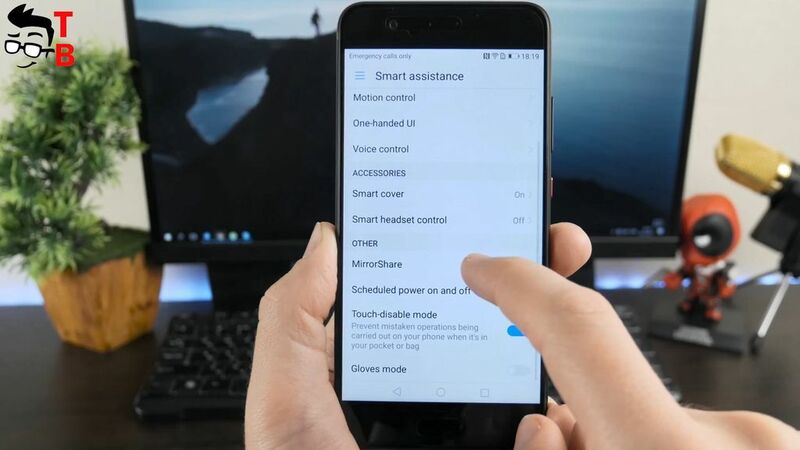 Among the most interesting features of EMUI 5.1 are Ultra Battery Mode, Screen Recording, split screen multitasking, Quik application from GoPro and much more. Also I should say that user interface is well optimized, so it works very fast and smooth. I don’t notice any problems, such as lags, breaking, slow down and others. Despite a large number of settings and applications, it really works fast. 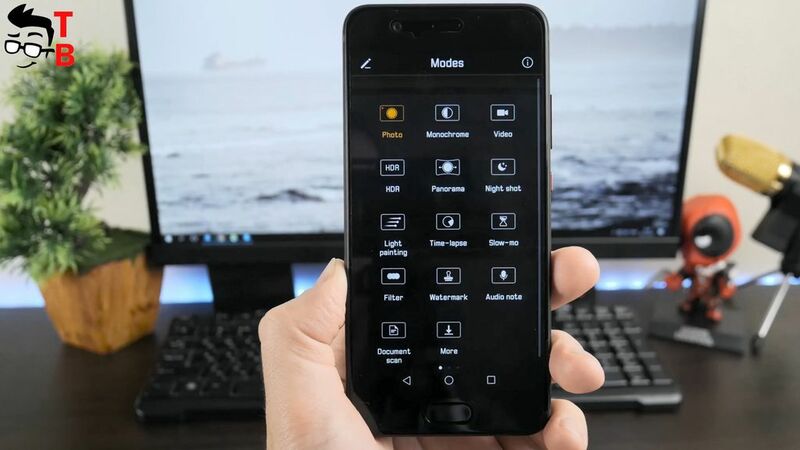 Of course, good hardware is needed for fast and smooth working of smartphone. Huawei P10 is powered by flagship chipset from Huawei called HiSilicon Kirin 960. The same processor is used in Mate 9. 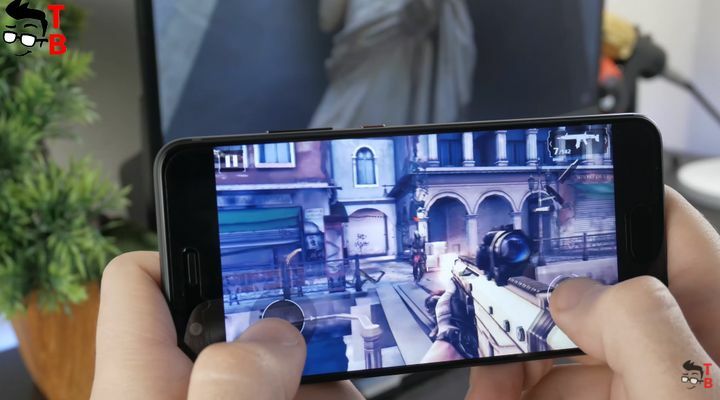 In fact, P10 has almost the same specifications as Mate 9, such as 4GB of RAM and 64GB of storage. As I already said, user interface works fast and smooth. 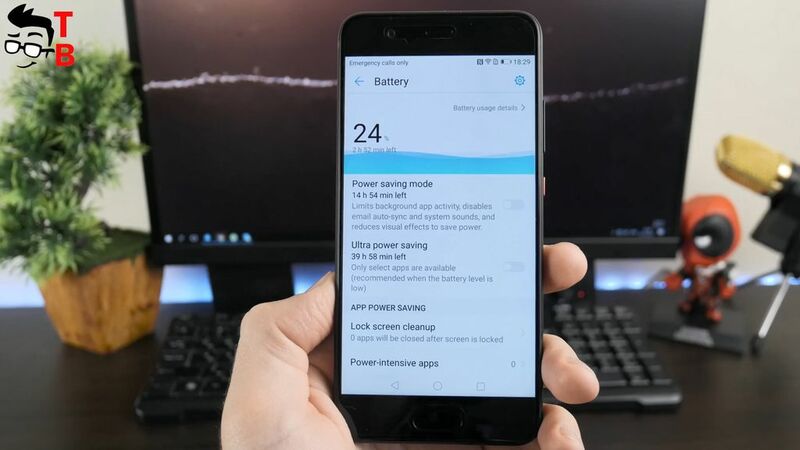 Also, chipset is energy-efficient, so the smartphone provides good battery life. Later I will make detailed performance test of Huawei P10, but now I want to show you benchmarks. 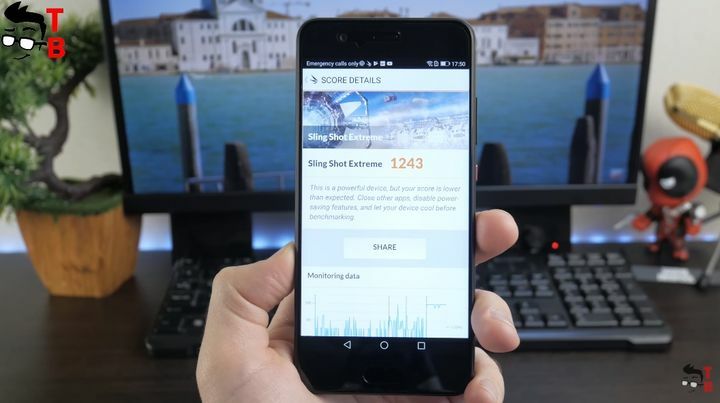 As you know, benchmarks allow to compare the performance of different smartphone. 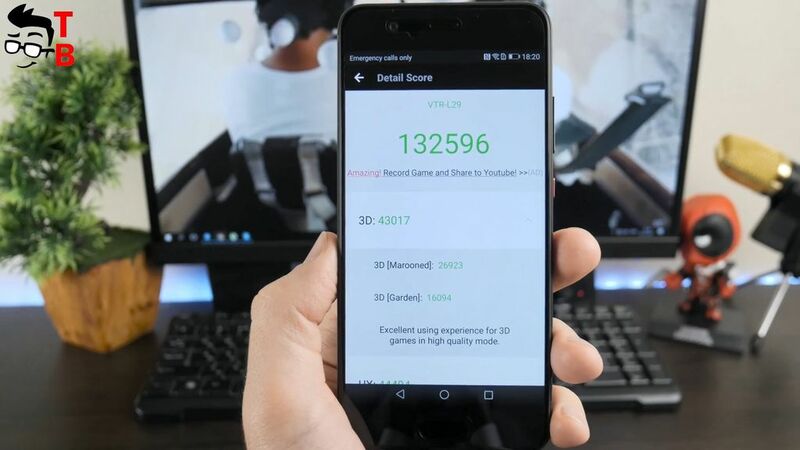 The benchmarks allow to compare performance of different smartphones. 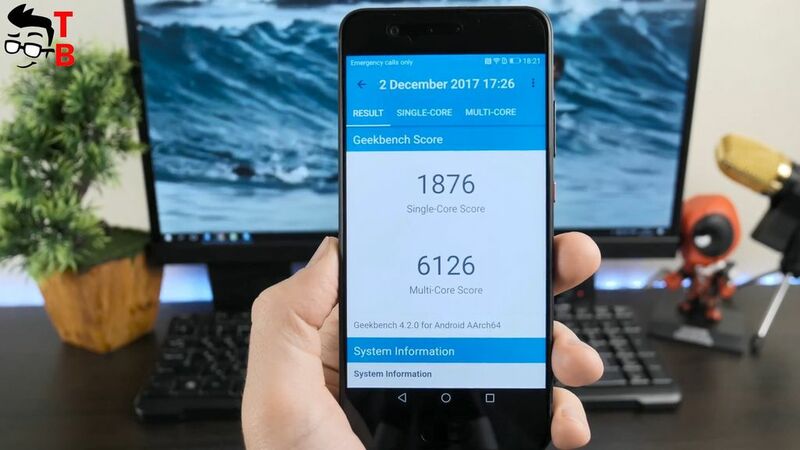 We launch the most popular benchmarks on Huawei P10, such as AnTuTu, GeekBench 4 and 3DMark. First, let’s start AnTuTu. As you can see, Huawei P10 has about 130 thousand points. 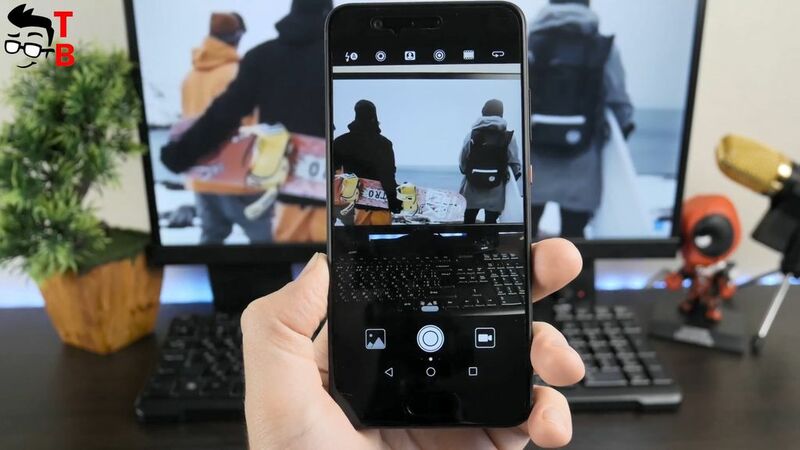 It is really good result, just like many other flagships on the market. 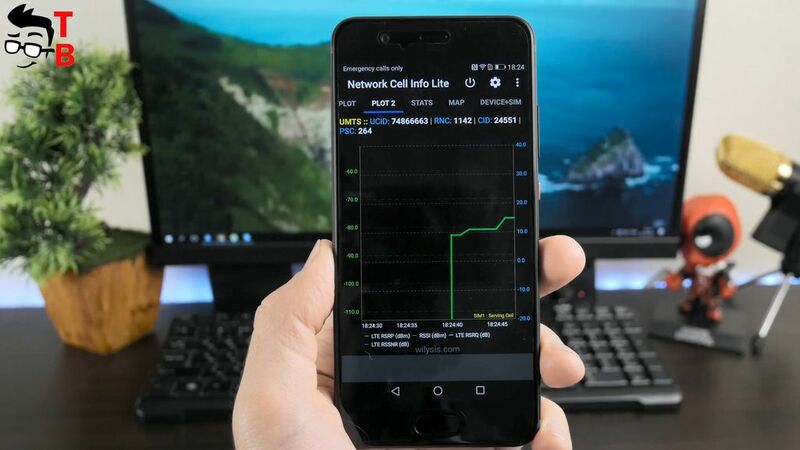 I think it is really good for $450 smartphone. The GeekBench 4 shows 1876 points in single core test, and 6126 points in multi core test. Pretty good result. 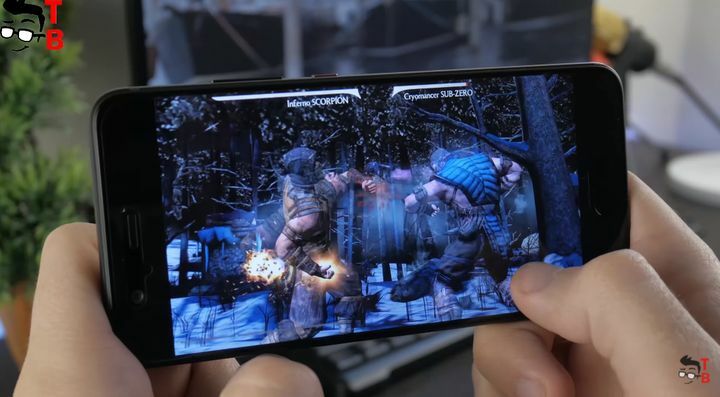 And the last benchmark 3DMark measures 3D performance, so you can see how smartphone will run heavy 3D games. Usually I use Ice Storm test for Android devices. Here is 1243 points. Huawei P10 has very good performance. In order not to be unfounded, I propose to play some games, and to test the smartphone in practice. The first game called Mortal Combat X. It is one of my favorite games on Android, because it has nice graphics and simple control. You don’t need to think, just fight! As I expect, Huawei P10 runs this game without any problems. There are no delays, slowdowns or any others issues. By the way, after each game I will check the temperature of smartphone. It is very important while playing games. The smartphone should not be hot. I don’t notice that smartphone become warmer after first game. As you can see, the temperature is about 40 degrees. It is OK. 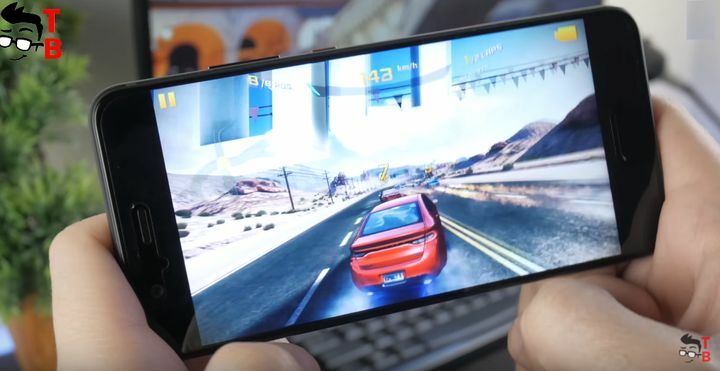 The next game is Asphalt 8. I believe that you know about this game, so I don’t need to tell you about it. And again, the smartphone doesn’t have any problems. FPS is good, everything works nice and smooth. To be honest, I don’t know why I test games on flagship phones, because they run them very well. However, I understand that it is really important, so I do it every time. Once again, let’s look at temperature. I already played two games for about 20 minutes, and the temperature of smartphone is about 45 degrees. The last game is Modern Combat 5. My favorite shooting game on Android. It has amazing graphics and really interesting story. Hey, guys, I think about game controller to test games on Android devices. What do you think about that? Write in comments below. But now let’s return to our game. It runs very well. I don’t see any lags or other problems. It start very fast and runs very smooth. As for the temperature after third game – it is still about 45 degrees. 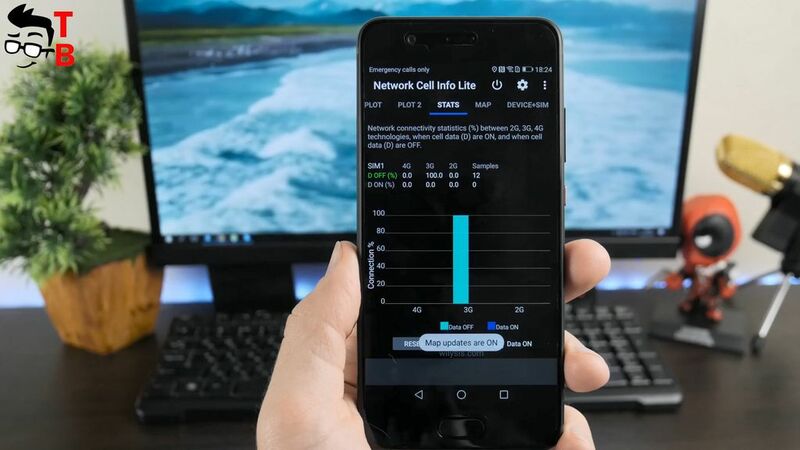 It says that smartphone doesn’t have any problems with heating and throttling. Huawei P10 uses the latest camera development from Huawei and Leica. As you know, Leica is well-known manufacturer of professional cameras, and now it helps Huawei to produce cameras for phones. Huawei P10 comes with dual rear camera. The first 12-megapixel sensor is color, and the second is 20-megapixel monochrome sensor. They work together to take quality photos in low light conditions, as well as providing 2x lossless zoom. The aperture of lenses is f/2.2. The front camera has 8 megapixel sensor and bright aperture f/1.9. Later I will make detailed camera test, and publish video on our Tech Brothers YouTube channel. Huawei P10 is compact smartphone with 5.1 inch display, so it has smaller battery than P10 Plus. Our hero has 3200mAh battery, while P10 Plus comes with 3750mAh battery. However, I think the battery life is about the same, because Huawei P10 comes with Full HD display, not QHD, like P10 Plus. Also, Huawei P10 is powered by energy efficient chipset, and even extra power saving mode. So, the user can count on full day on a single charge. Later I will make battery test later, and you will see battery life and charging time. 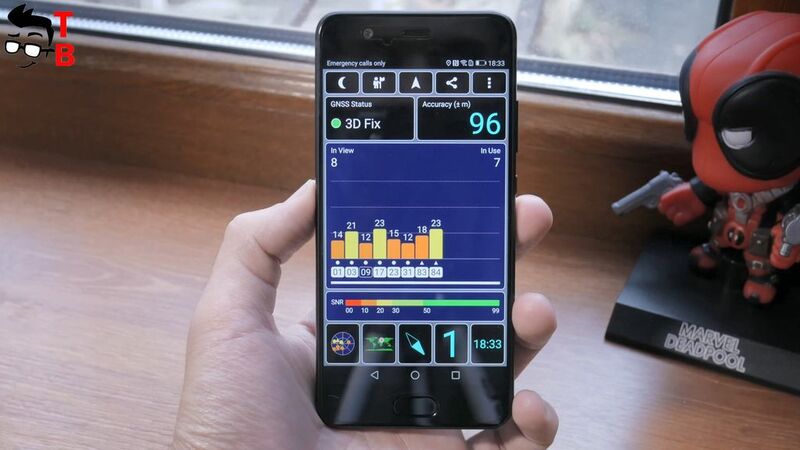 By the way, the smartphone support fast charge technology, and full charging time should take about 90 minutes. Huawei P10 supports 20 LTE bands, six 3G bands, and the usual quad-band 2G. Also, there is dual band Wi-Fi, Bluetooth 4.2, GPS, Glonass, Beidou, Galileo for GPS positioning, and even NFC for contactless payments. Also, smartphone comes with USB Type-C port. 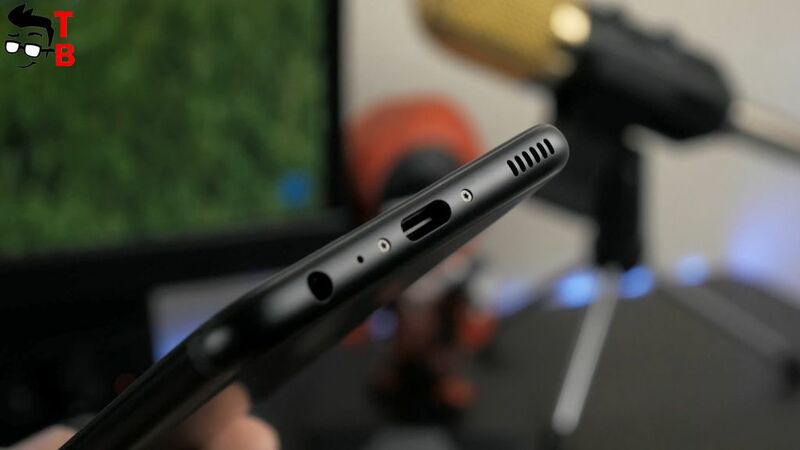 Interesting, that it is not regular USB Type-C port, because it has two more contacts for SuperCharge tech, but it doesn’t interfere other Type-C accessories. By the way, there is 3.5 mm audio jack, so you can listen music from your favorite headphones. 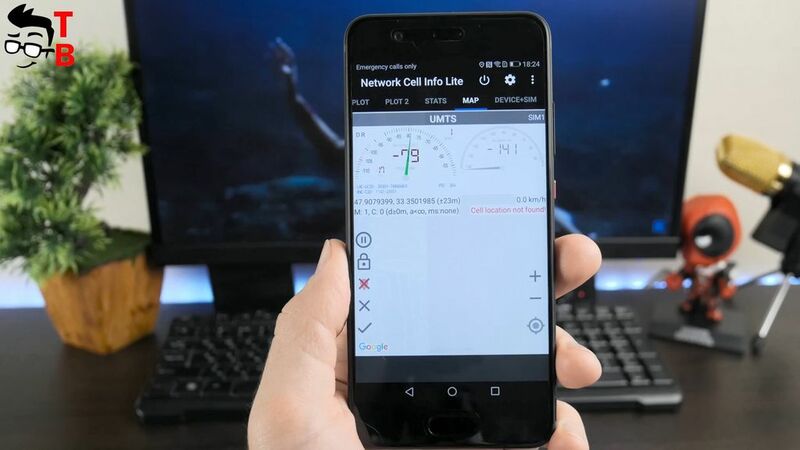 What Huawei P10 lacks is FM radio support and IR blaster. First of all, you should know that sound in Huawei P10 is designed by Hardan Kardon and the DAC is made of Yamaha Commercial Audio. The sound is pretty loud, dynamic and detailed. I listen to rock, blues, vokal, jazz, funk and others, and instruments are simply amazing. 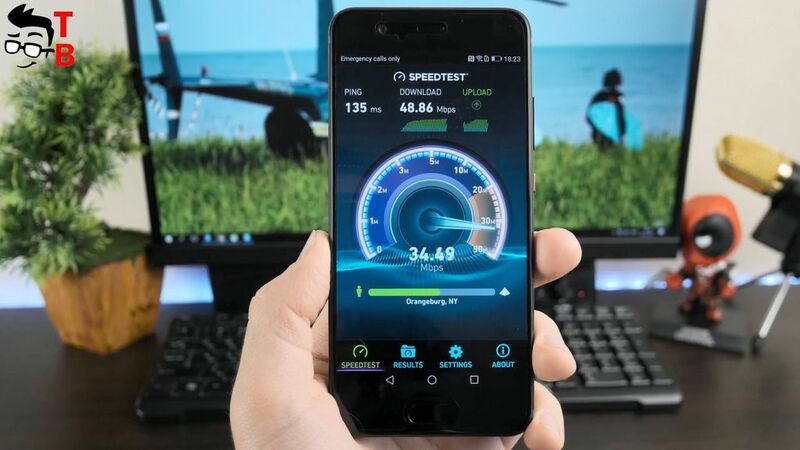 If you use Huawei music app you must run DTS. If you are a fan of Huawei, then P10 is excellent smartphone. It has beautiful design, compact size, quality display, good hardware and flagship cameras. The only drawback can be user interface, because it is great customized. 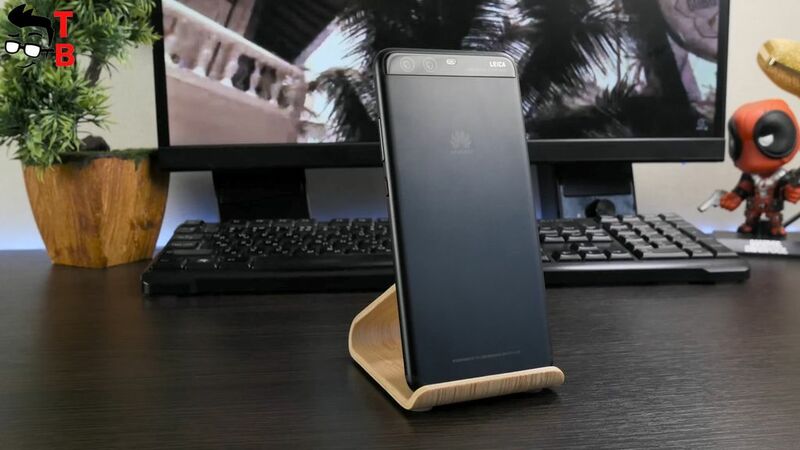 However, if you already used Huawei smartphone, then it is rather advantage. The smartphone was released in February 2017, so today the price is very attractive – just about $450.